Having just moved into a brand new house, there’s not much to repair/improve on yet (There’s a large list of wants though!). But, we now have a nice large yard, big enough to have both a deck and a swingset with some grass left over. We’re saving up to build the deck next summer/fall, but we’re working on the swingset. 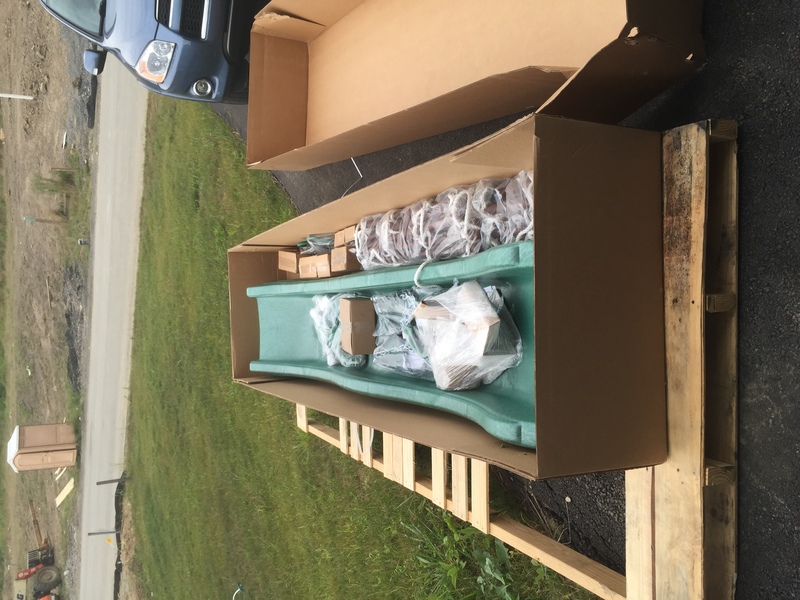 I got a ready-to-build kit (minus the wood) from Plan it Play for $879 (delivered!). 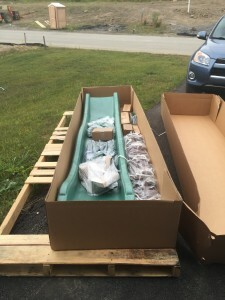 It provides the plans and all of the hardware for the swingset, as well as the swings, slide, rocks and rope ladder. I’m sure I could have gotten the parts cheaper, but the slides are pretty darn expensive by themselves, and I really have no clue what I’m doing when it comes to a structural building that I’m going to trust my daughter’s life on. I’ll pay a little more for vetted plans! The parts arrived last week, and last weekend, I convinced my little brother to borrow his boss’ truck to haul 12′ long lumber from Home Depot (totally legit – he’s allowed to borrow it as long as he puts gas in it). Hauling wood – my brother loves my daughter! Home Depot didn’t have exactly what we needed for all of the wood, so we paid a little more for ground contact pressure-treated pine when we didn’t need to in some cases. 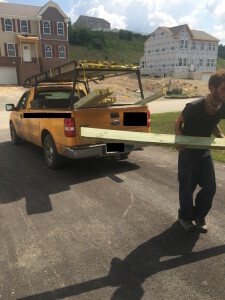 They also didn’t have one of the sizes I needed in ground contact PT pine, so I picked up the last pieces of wood with the RAV on my way home from work at 84 lumber (only need 70″ lengths, they only have 8ft lengths, but I fit them in RAV, so paid a little more there as well because of the waste). 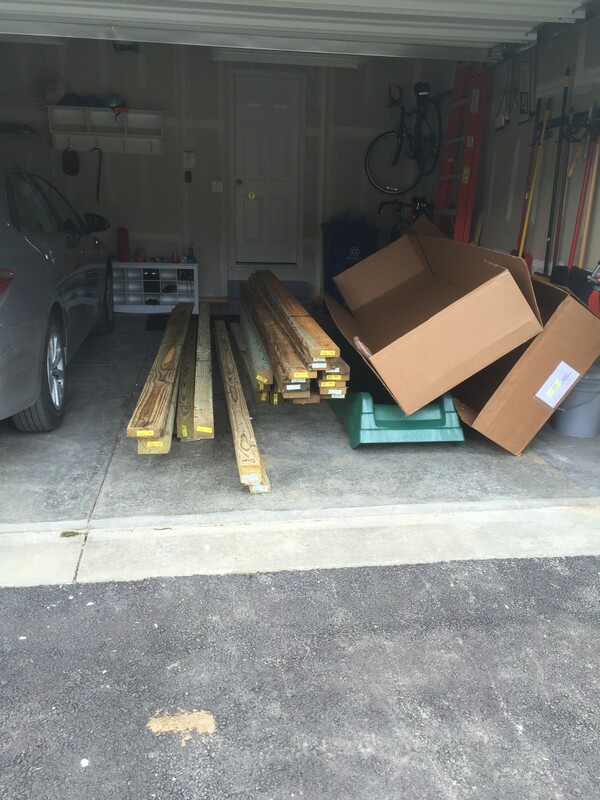 About $410 in wood later, plus $130 for tools I didn’t have, like a hand router and roundover bit, we’re ready to begin building the swingset. I’m going to be prepping the wood between now and Labor day weekend, and then several friends will be arriving that Saturday to help assemble it. The plans estimate 15-16 hours of work, but I’m hoping I can cut that down on the weekend by pre-cutting, pre-rounding, and pre-drilling the bolt holes. We’ve never built anything structural or weight bearing before, so this will be our “practice” for the deck next summer. This entry was posted in Home, Parenting on August 15, 2015 by Mom. Ha, you’ll do fine, I build stuff all the time and the neighbors are in awe. I always tell them that their day jobs are much harder than building stuff in the yard. I keep trying to do stuff in the evenings, and “life” seems to keep getting in the way! Tonight, Dad is taking Daughter Person to the library story time so I can spend some time learning to use the router. Do you ever read Young House Love? They built a deck and have a series of excellent posts on deck considerations and building. I only occasionally check in with them, but we do have a friend who is going to be the primary designer/contractor, we’re just going to provide the manual labor.